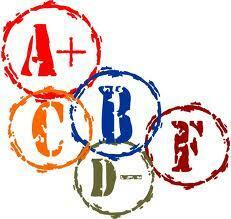 High school grades are determined by a combination of FCAT scores and graduation rates. The district has a graduation rate of nearly 85-percent, about 3.5 points higher than the state average. Leon School Superintendent Jackie Pons says the districts nine-year “A” rating from the state is a group effort. Next year Florida’s FCAT test is going to get tougher to pass. But Pon’s says the district is ready for the challenge. This year, schools that get an A or improve by a letter grade will receive a financial boost from the state, with an award of $70 per student.